There's a Portal Cartoon Being Made. It Looks Incredible. 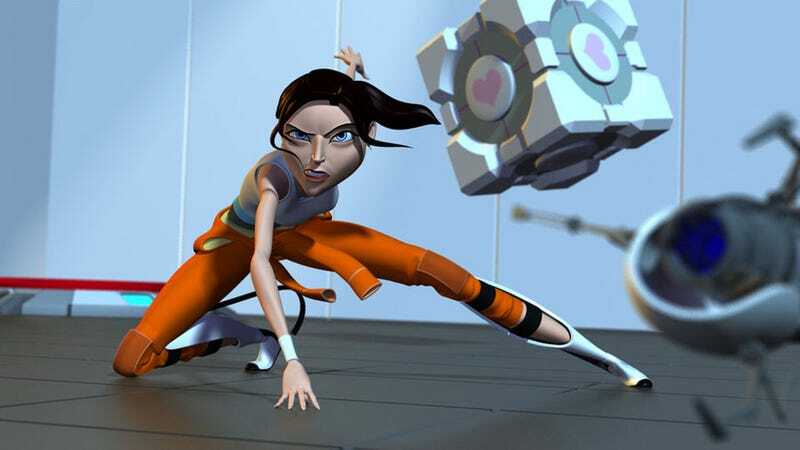 Given the fact Valve isn't in the business of making its own animated films (outside of TF2 advertisements), fan Alex Zemke is doing his own Portal flick. And going by the screens he's released so far, it looks as good as you'd hope the real thing to look. The movie is called Companionship, and before you sigh that it's just a "fan" project, know the guy is a professional animator, whose credits include Disney movies like G-Force and The Smurfs and games such as Uncharted 2 & 3. While it's still obviously early days, so much so there's no footage, these test renders and preview images are exactly what you'd want from such a project.